gynecomastia procedures performed by other doctors. Gynecomastia is the development of abnormal breast tissue on men, small or large, and normally on both sides. The term comes from the Greek gyne meaning "woman" and mastos meaning "breast". One out of three American adults suffers from some degree of enlarged male breast. Gynecomastia can cause feelings of embarrassment and awkwardness. For most men, the best solution to reduce and reshape their breast is by surgery. surrounding areas of the body. This requires surgical skill as well as artistry - knowing how much tissue to remove and how much tissue to retain. When patients find the results of their gynecomastia surgery to be unsatisfactory, they often consult with New York City plastic surgeon Dr. Elliot Jacobs for revision, reconstruction and improvement of their chest. Many of the problems are a combination of factors so that appropriate revision surgery must be individualized to the unique problems of the patient. Elliot William Jacobs, M.D., has maintained a private plastic surgery practice in New York City since 1977. Dr. Jacobs' practice encompasses a full range of plastic and reconstructive surgery, with a special emphasis on gynecomastia surgery. Dr. Jacobs has presented his innovative methods on ABC's "20/20" and Good Morning America, CBS's The Early Show, The Doctors, MTV's "True Life", Discovery Health and every local TV station in the New York metropolitan area. As a New York plastic surgeon Dr. Jacobs' greatest satisfaction comes from the interaction with his patients. 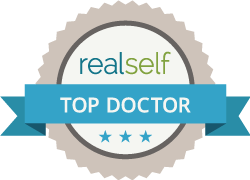 Dr. Elliot Jacobs will review your medical history, discuss your objectives and desires, examine you and make recommendations for your gynecomastia procedure. Dr Jacobs' goal is to show each patient what a difference plastic surgery can make in each and everyone's life.